The paper discussed in this piece reports on implementing the ACU care model and SIBR, and describes how the authors addressed the structure and process changes mentioned above. Why was the ACU Care Model Developed? The current process for admitting patients and assigning them to physicians is broken. Physicians typically assign themselves to patients based on call schedules or load balancing criteria, rather than geography. Consequently, one physician may have patients on multiple units, producing a “pinballing” effect with physicians moving in an unpredictable sequence. Nurses, on the other hand, are assigned to care for a set of patients on a single unit. Other professionals, e.g. therapists, social workers, etc. may be assigned to a single unit, multiple units on a single floor, or multiple patients on multiple units on different floors. The resulting geographic fragmentation is the driver of reactive care. At best, patients, family members, and nurses get information from different professionals at different times. At worst, they may not get any face-to-face information from physicians who leave the unit before they are spotted by the nurse or family member. As a result, patients, families, and nurses are often uncertain about when the physician will visit and are typically not synchronized on the diagnosis, progress, and plans for care and discharge. The ACU care model and Structured Interdisciplinary Bedside Rounds (SIBR® rounds) were developed to address these shortcomings. The ACU has four essential features. The first feature is unit-based teams. What this means in practice is that a) hospitalist physicians care almost exclusively for patients on their assigned ACU, and b) patients admitted to the unit are automatically “assigned” to one of the ACU physicians. It also means that other professionals’ assignments should – as much as possible – be unit-based. Having the physician, nurse, and key allied health professionals together on a single unit makes it possible to implement SIBR, which is the second feature of an ACU. With SIBR, all team members round together using the 6-step SIBR communication protocol. A physician census of 15-18 patients can be seen by the SIBR team in approximately one hour in the late morning. 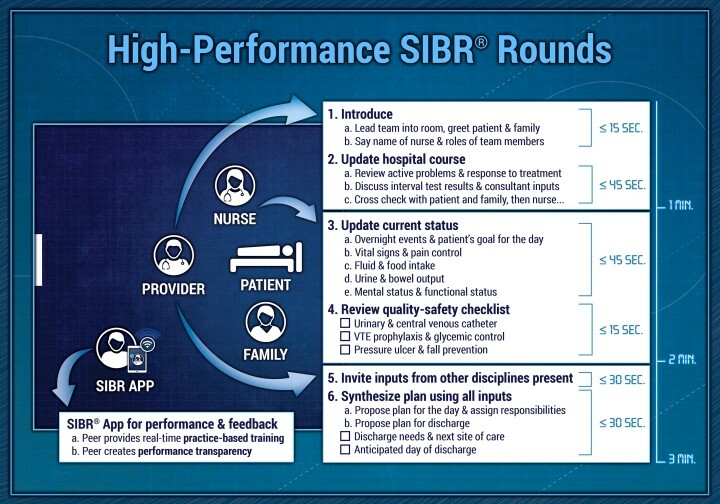 SIBR rounds occur in the patients’ rooms and include the patients and family members, unless the patient opts out. The time at the patient’s bedside typically ranges from 3-7 minutes, but could take longer in ICUs. Each team member has a dedicated speaking role with pre-determined content. Through the exchange that happens during SIBR, information and perspectives are actively cross-checked to ensure everyone is working with the most accurate and up to date version of the facts. Information often surfaces that had not been available in the patient’s chart. Treatment and discharge plans are clarified by the team with the patient and revised as needed. 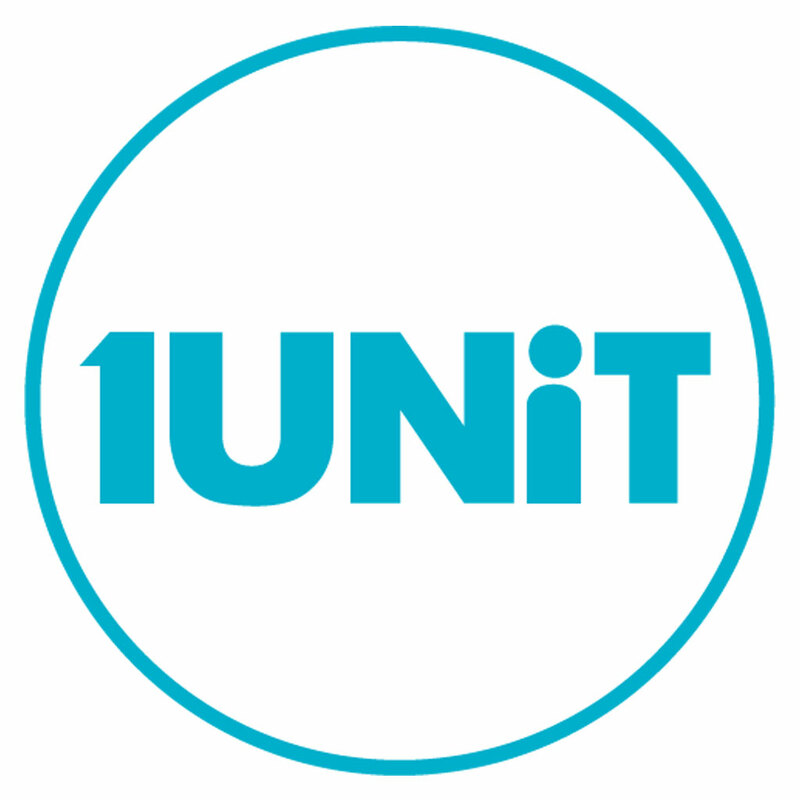 The third feature of the ACU is unit-level performance reporting and the fourth feature is unit leadership dyad, consisting of the nurse manager and a physician partner. This dyad is jointly responsible for managing the unit, and jointly accountable for clinical and satisfaction outcomes. How was the ACU Care Model Developed? Developing the ACU care model and SIBR was a complex process, and required strong partnerships among hospital nursing, physician care teams, bed control, and admissions. Developing SIBR was the most disruptive aspect of the model, requiring all professionals to re-examine their morning work flow. Using input from all members of the team, the leadership dyad developed a framework for SIBR (figure 1 [SIBR diagram]) and scripts for all team members. It took almost an entire year to develop and refine all the components of SIBR, using many cycles of “plan-do-study-act” (PDSA). The most challenging aspect of SIBR turned out to be moving rounds into the patients’ rooms, and actively including patients and families in the process. As a result, all team members had to adjust to talking with the patient and not just to each other. In addition, all team members had to adjust their language away from medical jargon and toward language that patients can easily understand. Because this was so new to everyone, the leadership dyad also developed training materials for team members. This consisted of a four-hour introductory course explaining SIBR, presenting the model and scripts used by team members, and viewing videos of high-performing teams. Additional classes were offered in situational leadership and conflict management. The authors describe this training as essential to successfully implementing the ACU and SIBR on new units. The authors learned several important lessons as they worked to implement the ACU and SIBR on seven different units. The first was that it takes dedicated time and resources to transition to these new structures and processes. Although no new staffing is required, considerable resources are needed to support staff training. Not only do all staff need time away from the unit to attend classes, but it’s important to have an ACU/SIBR expert on the unit for the first two weeks of implementing SIBR. This expert observes the process and provides support and coaching to staff who are doing SIBR for the first time. The authors suggest it may take fours months or more before the ACU and SIBR are effectively implemented. On units and in hospitals in which there is significant staff turnover, for example, it may take longer. The second lesson learned was that implementing these models is not a substitute for active process and quality improvement efforts. The ACU care model provide tools that make it easier to improve processes and outcomes on units. But, in and of itself, the care model does not guarantee these improvements. The third lesson: leadership matters. Both the physician and nurse unit leaders need to be present and visible, especially during the initial SIBR implementation. But that is not enough; without mid-level and senior leadership support, the ACU and SIBR will not succeed in the long run. Both models require so many systemic changes that without active upper-level support, these changes will not be sustained. The fourth and final lesson is that success depends on the entire hospital adopting the model as the standard of care on applicable units. Please use the citation below to source the article. Dr. Susan Shapiro is a career health services researcher. In 2013, she received three years’ funding from the HRSA to implement the ACU care model in seven units across three hospitals in the Emory Healthcare system and evaluate both the implementation process and outcomes on the project units. Top banner image courtesy of the Saskatchewan Health Authority.